We continuously strive to instill the values of the Kingdom of God in our children. Events depicted on this site show the practical side of our Catholic life in school. The whole school gathered together for the final mass of the academic year. Parishioners also joined us at the mass. Congratulations to Father Bob who celebrated his 40th Anniversary of Priesthood. Staff and pupils attended Sunday Mass at St. Bernard's Church followed by refreshments in the church hall. Children from EYFS and Key Stage 1 began the mass with a short performance. The pupils later presented Father Bob with a card and present on behalf of all the school. Year 6 Leavers' Mass held at St. Bernard's Church, Halifax. Staff, pupils and their families attended the evening mass followed by a party. Year 4 enjoyed their retreat at The Good Shepherd Church in Mytholmroyd. The focus was around how we build up barriers and how they separate us and how importance reconciliation is. The day was full of team building activities, art based tasks and discussion, followed by a Liturgy led by the children and a blessing from Father John. Year 3 children (some of whom received their First Holy Communion very recently) led all the readings in a Mass for the Ascension Feast. This took place at St. Bernard's Church, Halifax. Three pupils from Year 4 represented the school on Friday 19th May at Leeds Cathedral, as part of celebrations for the work of Catholic Care. We brought our contribution, from our Lenten Charity work. Catholic Care, CAFOD and Overgate Hospice have received a huge £1,206.30 each, thanks to the fundraising efforts of the pupils, parents and staff at our school. Well done everyone and thank you! The three pupils presented the cheque from our school to the Bishop and talked to him about the various activities we have taken part in, including a sponsored silence, sponsored spell and climbing Everest! The Bishop and representatives from Catholic Care were interested to hear about our work. Mrs Crothers (a KS2 Support Staff member), the JLT, year 4 pupils and staff have been working hard to promote a very worthwhile cause over the last year. 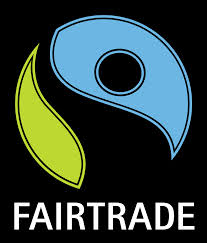 We are now officially on the Fair Trade journey. We currently have Fair Aware School status, as of April 2017. Interestingly, pupils who represented the school at the Minster as part of the Fair Aware Conference have enabled Halifax to be named a Fair trade town! This week's Liturgy was led by our Junior Leadership Team with the focus being on Refugees. Congratulations to our First Holy Communicants. The children enjoyed a breakfast after Mass, in the Parish Hall which was kindly prepared by The Ladies' Group. n amazing £3618.85 by holding book sales, toy sales, sponsored spells, a virtual climb challenge, cinema event, raffles etc. All the money raised will be shared out between CAFOD, The Good Shepherd Fund and Overgate Hospice. of saying a big thank you to everyone who contributed! Liturgy led by year 1 pupils followed by the presentation of Our Lady statues to each class. Throughout Holy Week each class has been taking it in turns to lead a Liturgy ending with an Easter Production put on by year 3 and 4 pupils. Parents and Governors were also invited to watch their performance. St.Patrick is one of the four saints associated with the 4 team colours. A colour is allocated to pupils and members of staff for the purpose of rewarding children where praise is due and for even doing that little bit extra. As it was a special day for the green colour today, staff organised a party and some games in the afternoon for all the members of the green team. Children made their First Confession last Saturday and received a certificate during our whole school assembly. Representatives from Year 2 and 3 attended Mass led by Father Bob at St. Theresa's Church this afternoon. The children and staff were made to feel very welcome by the parishioners who invited us to refreshments afterwards. Work done in school by the children was then displayed in the entrance of the church. Millions of families around the world are living in extreme poverty. Many are struggling to earn a living so do not have enough money to meet their basic needs such as food, housing and clothing. This Lent our school is helping to change this. All our little actions will make a really big difference to people living in poverty. We are rasing money to set up fish farms. Representatives came into school to talk to the children about what setting up fish farms will mean for families around the world living in poverty. Children enjoyed making fish during our Lent Arts & Crafts afternoon. Five children from Year 4 took part in the Fair and Funky Fair Trade Conference which was held at Halifax Minster. They took part in interactive workshops that included art, drama, real life stories and chocolate tasting sessions. They also met the children's author Tom Palmer who has visited the school in recent years. Each child received a goody bag at the end of their visit. Thank you to everyone who supported Fair Trade by buying bananas and raffle tickets. We managed to raise £54.60. Year 4 presented a very informative assembly about Fairtrade. This linked into Fairtrade Fortnight where as a school we have eaten Fairtrade bananas for our morning break and are running a raffle to win a hamper full of Fairtrade goodies. Basing their assembly on the chocolate industry, they pretended to be news readers and explained how a chocolate bar arrives in our shops from the start of its journey as a cocoa bean. We were amazed by how many people were involved in the process and how Fairtrade tries to make a fairer deal for everyone concerned. St. David is one of the 4 saints associated with our team colours. A colour is allocated to each pupil and staff member. Today the yellow team had lots of fun celebrating St.David's Day by decorating biscuits, making pancakes and going on a daffodil hunt around the playground. Year 2 and KS2 attended St.Bernard's Church today to receive ashes at the service led by Father Bob. EYFS and Year 1 Liturgy took place in school. During Lent one child per class will take home a Lenten Prayer Bag. This a time for the family to read the Easter Story and take time to reflect and pray. The aim of this project was to give children a greater understanding of the issues around migration, refugees and the impact of conflict and war on individuals and families. It was also a nice way for the schools within the Halifax cluster to work together and to share with the parishioners our common understanding of God’s love for all people and the duty we all have to help and welcome those in need where we can. The children from each school produced art work and writing around their learning and some of these pieces were displayed on a Travelling Display, within the local Parish Churches, including St. Bernard's, Halifax and St.Theresa's in Queensbury. Our whole school collective worship was led by pupils from Year 5 with some pupils from reception class taking part. We heard about how people in Spain celebrate Epiphany. The school also attended Mass at St. Bernard's Church which was led by Father Bob. This week our Junior Leadership Team and Headboy led the whole school Collective Worship. They lit the pink candle on our Advent wreath which represents joy. We watched some short video clips of pupils and staff talking about what brings them joy. All the pupils and staff of St.Joseph's went to St.Bernard's church. The service was introduced by our head boy which was then followed by the lighting of the Christingles. Our Junior Leadership Team led this week's Collective Worship. They lit the 2nd candle on our Advent Wreath. As part of our preparations for Advent, travelling cribs are being taken home each night by a different pupil in each class. Inside each crib there are 10 knitted figures, an explanatory booklet with prayers, colouring sheets and a parent feedback form. For this year's Christmas charity project we are supporting The Samaritan's Purse children's shoebox appeal. A representative from the charity came into school and spoke to the children during a special assembly to talk about their organisation and how we as a school can help children in other countries, less fortunate than ourselves and who would love to receive a box full of gifts for Christmas. Shoe boxes can be filled with small toys, stationery, colouring books, sweets, hair accessories, sunglasses, toiletries etc. Filled shoe boxes need to be brought into school by Friday 11th November! This Year's Harvest donations went to the Halifax Drop-in Centre, an organisation that supports people within our local community. Reverend Linda Maslen came into school to talk to the children about how the donations of food and toiletries would be distributed and what it would mean to the people receiving these much needed items. A big thank you to all those who donated!! Year 2 took part in a Laudato Si' workshop. Pope Francis wants everyone to help look after our world. We thought about all the ways in which we could help to make our world a better and cleaner world to live in! This was held on Friday 23rd September in our school dining room from 9.30a.m. for parents and relatives of our pupils. It was wonderful to see them relaxing over a tea or a coffee and a slice of cake or a bun. Year 5 class ran this event. They were extremely enthusiastic and efficient. Talk about enterprise! They sold buns to all the classes in the morning after the parents had left. Closer to home time, Yr 5 organised a further selling session to make sure all he buns were sold. WELL DONE YR 5!! On Wednesday 21st September 2016, Vicky Power, the Macmillan representative in West Yorkshire for promoting fund-raising, visited our school. She delivered an assembly to the whole school, explaining the origin of Macmillan and the funds Macmillan nurses need to help people suffering from cancer. We raised £184.10 in our coffee morning! Heartfelt thanks to the parents, children and the staff of St. Joseph's. On Thursday 8th September 2017, our parish priest Father Robert Owens celebrated a Mass for the whole school in our school hall at 9.30am. Children from Year 2 to Year 6 read and led the Mass. Father Bob thanked them for their active contribution.